Sustainability Manager, Hitachi Asia Ltd.
Hajime is the Sustainability Manager of Hitachi, Ltd.’s Southeast Asia headquarters. She drives and executes the company’s sustainability vision and strategy by working in close partnership with senior business leaders and functions such as Human Resources and Procurement and external stakeholders across the region. She leads a wide range of programs ranging from community investment, such as Hitachi Young Leaders Initiative, human rights promotion, stakeholder engagement and environmental promotion. She began her career in 2006 in Hitachi, Ltd.’s PR and IR department where she was responsible for managing media and investor relationships. This experience provided her excellent exposure to the company’s operations and external communications. She then spent two years in Human Resources where she was responsible for talent management. In 2014, she moved to Sustainability Promotion Division supporting the CSR Department. 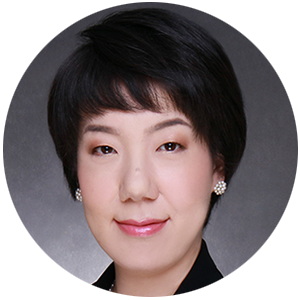 In 2016, she was seconded to Hitachi Asia Ltd. to assume her current role. Her most recent achievement includes organizing the “2018 Hitachi Global Women’s Summit” in Singapore. The landmark event was held for the first time in Asia with over 170 employees representing over 17 countries. She is passionate about the power of business in making meaningful change and impact to society. Hajime holds a Master’s in Law and Politics from Nagoya University.